When is a line more than just a line? When it portrays volume, shape, movement, and feeling. 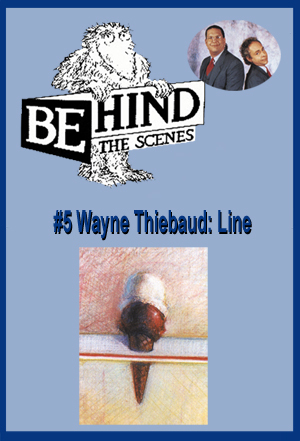 Painter Wayne Thiebaud demonstrates how artists use lines in unexpected ways as he creates a portrait of an ice cream cone. Though the lines seem simple at first, the drawing gradually reveals the complex linear structure of an ice cream cone. In-class activities help students learn how lines can describe the shape and even the movement of objects. Click here for Visual Arts Guide for Line episode. This is a large file.